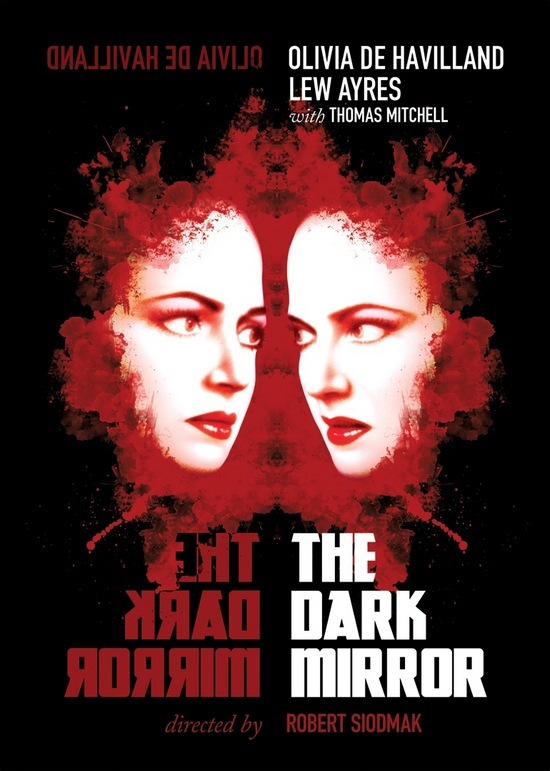 Tonight’s feature is THE DARK MIRROR , directed by Robert Siodmak and starring Olivia De Havilland and Lew Ayres. Who doesn’t enjoy an evil twin tale? A woman suspected of murdering her doctor boyfriend has an identical twin sister. When both twins have an alibi for the night of the murder, a psychiatrist is called in to assist a detective in solving the case. Through a series of tests, he discovers which twin actually committed the crime and in the course of his investigation he falls in love with the normal twin. Welcome! The lobby of the Deranged L.A. Crimes theater is open for a rare Saturday matinee. Grab a bucket of popcorn, some Milk Duds and a Coke and find a seat. 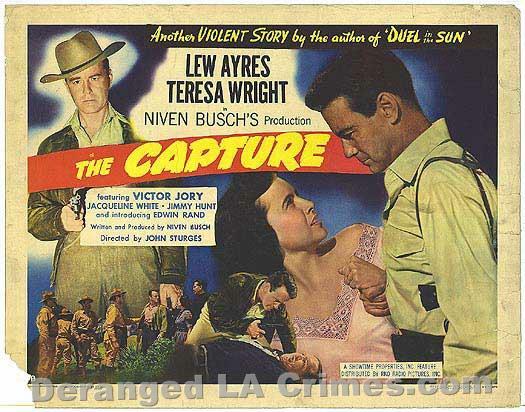 Tonight’s feature is THE CAPTURE (“Another Violent story by the author of “Duel in the Sun”) starring Lew Ayres and Teresa Wright. Enjoy the movie! Pursued by police across Mexican range land, American Linley Vanner seeks refuge in the adobe hut of Father Gomez. That night, an exhausted Lin, whose arm is injured, finally reveals his story to the priest: A year earlier, Lin is working as a supervisor at an oil field when he hears that the company’s payroll has been stolen and several guards who were protecting it, murdered. Lin is coaxed by his fiancée Luana to join the robbery posse, which is being led by company president Earl C. Mahoney. At first Lin refuses to consider the idea, but changes his mind when he develops a strong feeling about where the robber, whom witness Mahoney has described as “American,” might have gone.